They say if you want referrals, you need to ask. But if you want more referrals, you need to incentivize. A good referral program is a consistent referral program – and we can help you develop that program using direct mail. We will custom design, print and personalize your referral mailer – then you can decide who you want to reach and how often. 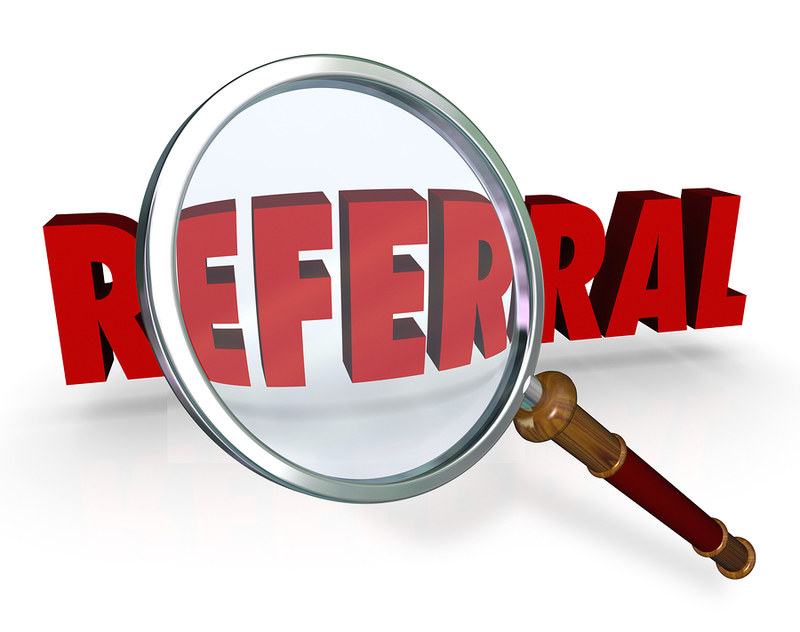 Referral programs can be conducted in many ways – in person, by phone, by email, online and with direct mail. 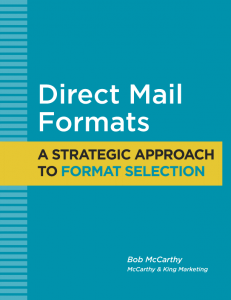 We like direct mail because it’s efficient, fully trackable and easy to manage. You have complete control over how many referral offerings are in the market. When you’re reaching your customers with a referral request, your first message should be a “thank you” for their business. Don’t overlook this. Customers want to be appreciated. In fact you might even think about sending a small gift card with the mailer. This would be in addition to the incentive gifts you are offering for referral. This will depend on what you are selling. Obviously, the more valuable to incentive, the higher the response. But be smart about this. Don’t offer more than you can afford. At the same time, take the long view. Understand that (in many cases) a customer will bring you repeat business (lifetime value) so that even if you pay a little too much to generate that first order, the subsequent orders may make it worth your while. To get your current customers to provide referrals, you need to make it easy for them. Your message needs to be clear and easy to understand. One way to do this is to create coupons that your customers can pass along to their friends and family. As a reward for distributing your coupons, you can offer them cash, gift card, credit or a discount for a future purchase or entrance to a drawing. Of course, you will need a way to track the coupons so you know who was responsible for a new customer. Also, you don’t have to limit yourself to current or past customers. You could ask anyone to send you referrals – friends, family, vendors, employees or complete strangers. Even when your current customers refer you, very often those referrals aren’t going to take action right away – or at all. To improve the chances the referral turns into a customer, consider “dollar off” or “percentage off” incentives that are appropriate for your typical project or purchase size. For this audience, you are likely to use the same promotions you use through your other marketing efforts. Sometimes, it’s not realistic to expect a referral to turn into an immediate customer. It could be that the financial commitment is too large or the sales cycle is too long. In those cases, consider rewarding customers for sending you leads – or certain types of leads like an appointment. 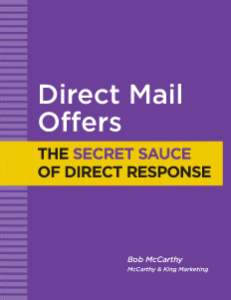 For direct mail referrals, we strongly recommend a simple but effective package that features a #10 window envelope with a sheet of coupons that your customers can detach and distribute as they see fit. The sheet of coupons come in two sizes – 8.5 x 14 inches (which yields 3 coupons) and 8.5 x 11 inches (which yields 2 coupons). This sheet would be personalized as the top (to show through the window envelope) and on each coupon to allow you to track the source of a successful referral. You can also use a cover letter (either generic or personalized), but a letter is not required. You can provide your customer with instructions at the top of the form. The packages above all feature window envelopes. 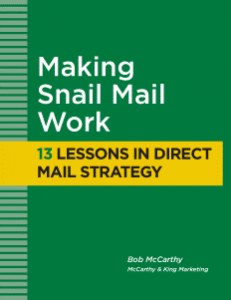 This is a cost-efficient approach because it allows you to use one addressing process for both the outgoing delivery and the reply device. However, if you prefer a closed face envelope (no window), we can provide that. You should note that a closed face envelope will need to be addressed separately. Other envelope sizes and window options are also available. Call to discuss. Basically, you have two choices – first class or standard class (formerly known as third class). Both first class and standard class are eligible for significant discounts through pre-sorting and pre-barcoding (which we provide). The real difference between the two is delivery. First class will get delivered within a few days, while standard class mail could take well over a week – sometimes two weeks or more. Are you looking a small quantities? Would you rather do this in-house? We can design and print all the components for you, then leave the personalization and mailing services to you. 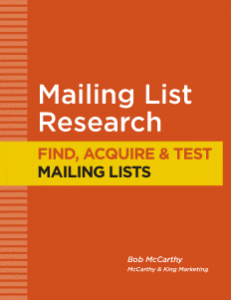 You can personalize the forms with a simple mail-merge, or you can do it by hand. When you’re ready to discuss a project or request a quote, contact Bob McCarthy at 508-473-8643 or bob@mccarthyandking.com.